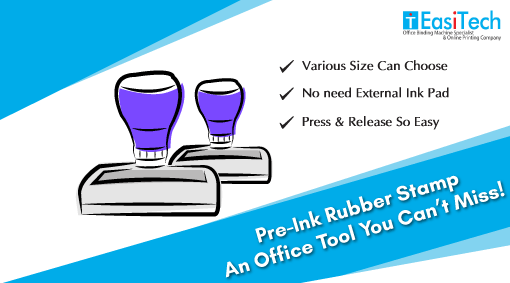 PRE-INK RUBBER STAMP - AN OFFICE TOOL YOU JUST CAN'T MISS! In the wake of this digital era, businesses have turned more tech-savvy and inventive. New approaches to creating and managing heaps of work have been gladly adopted, and the efficiency and amount of time saved is put to good use. Now, talking about modern business settings, one can find an incredible breadth of high-end devices, installations, and urban-looking furnishings. These have replaced outdated office machinery and hefty stationery supplies, all for good. With such sleek and latest installations, the workspace is bound to look trimmed and more productive, thus giving out the best possible impression. But as they say, few things are timeless and their utility never fades. One such office tool which celebrates an irreplaceable status in contemporary business setups even today is pre-ink rubber stamps. These are compact, handheld devices used to imprint a message on paper material. Despite the fact that paperless and inkless work culture is all the rage, one always seeks a rubber stamp to mark a great impression, literally. There are office stamps, inspection stamps, teacher stamps, notary stamps, bank stamps and many, many more that one needs to use in day to day business operations. 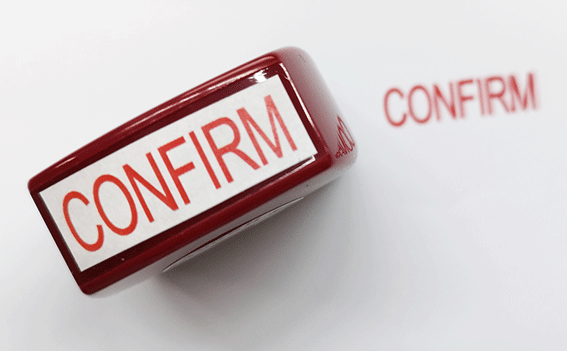 All documents with a stamp sign signify that they have been dealt with officially and are suitable/ unsuitable for further processing. Not surprising, isn’t? But this has to be the first in the list! The 21st-century versions of rubber stamps are really great and undemanding, asking you not to deal with ink and stuff. Pre-inking rubber stamps don’t ask for an ink pad, so there isn’t a chance of creating an inky-blue mess. You can stamp over and over and over before re-inking your rubber stamps. They are very convenient to use, no stress and no time waste- isn’t this bright!? Rubber stamps are plain awesome, for you can get one customized and mark whatever you want. From getting a stamp for your company logo and CEO’s signature to getting one created for a catchphrase or delivery status, you can get highly customized stamps to standout from the crowd. Just let your rubber stamp maker in Singapore know your requirements, and they’ll process and deliver the best rubbers stamps as per your needs. Oftentimes, when papers are more and time is less, finding the right documents seems like an impossible task. However, if the drafts you have are marked well using rubber stamps, tracking the right copy will be a piece of pie. No matter you are looking for a copy that is ‘Approved’ or one that is ‘Requires Revision,’ or something else, just try to look for the stamp mark and make your efforts more directed and result-oriented. We hope these points clearly narrate why modern-day, as well as traditional businesses, uses rubber stamps. If you think you can make your business setup more organized and productive with these useful office tools, do connect with us. We at EasiTech offer pre-ink rubber stamps that create 50,000 impressions before re-inking. We are recognized as a dependable rubber stamp maker in Singapore. To order with us, you can visit here!